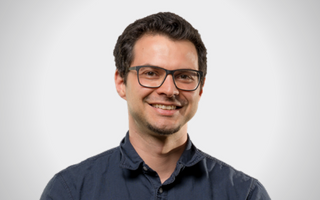 A digital voting solution can significantly increase the speed of local government ballot processes. With omnivote, the process of placing and counting any number of representative's votes takes only 20 seconds. 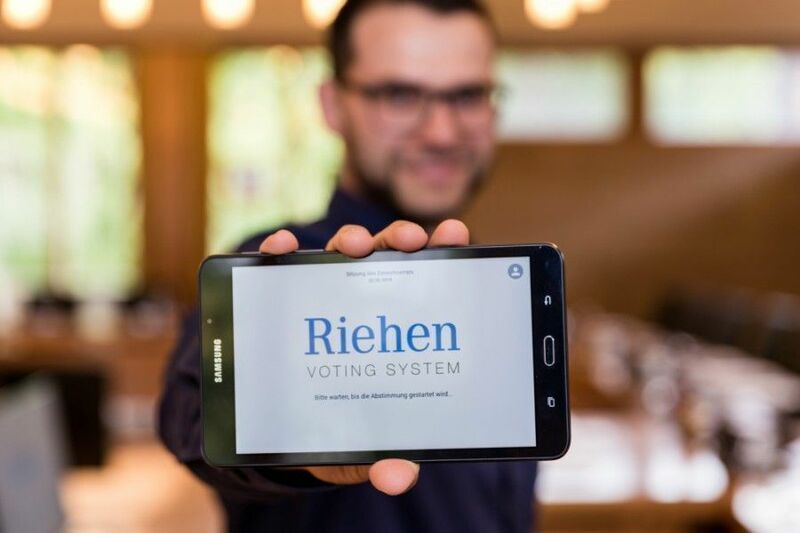 Our multi-device digital solution makes the democratic process easy and accessible for the administration, the voters, the press and the community. 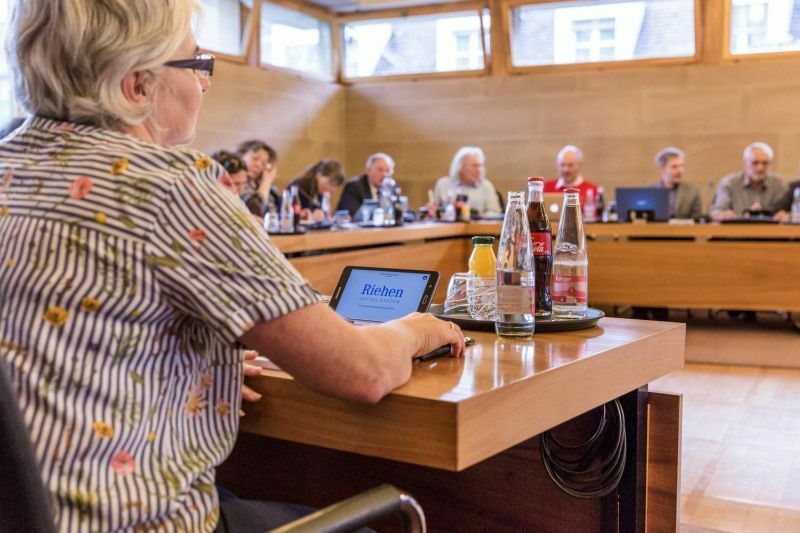 The chair uses a central dashboard on their computer or tablet to prepare and control the session and export reports. 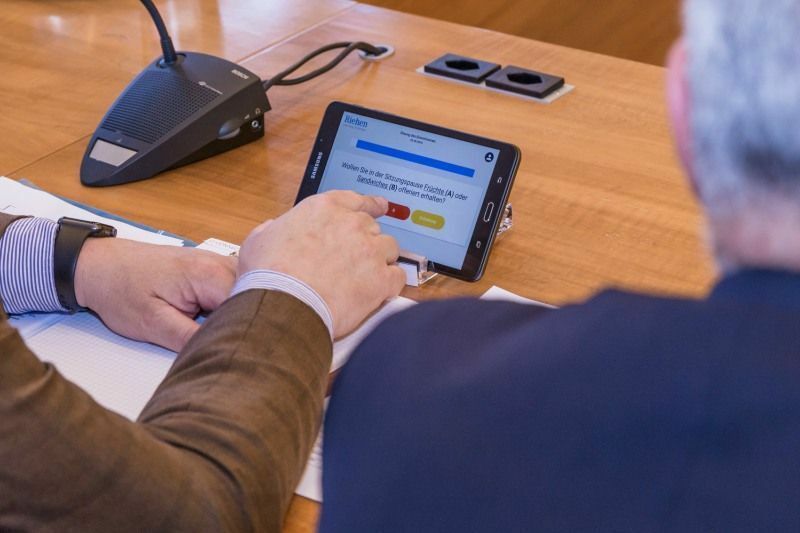 The voters login to individual tablets to cast their votes during the session. A user-friendly mobile app guides them through the voting process step by step. 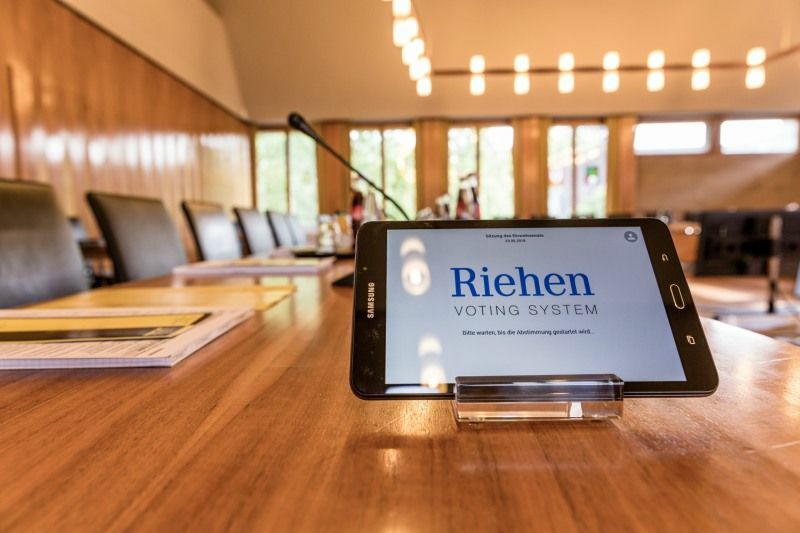 "Riehen municipal council set itself the goal of replacing show of hands voting with an electronic voting system. 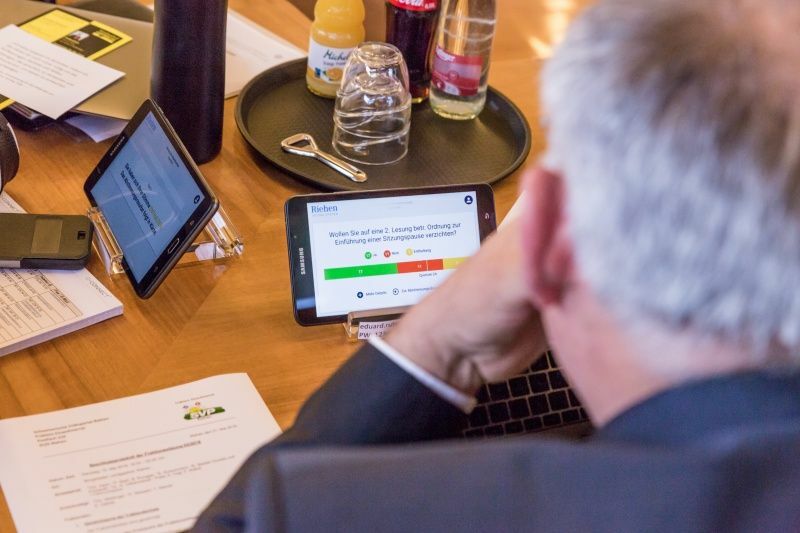 The Web Essentials solution offers ease of use, reliability in the determination of results and transparency with regard to the voting behaviour of parliamentarians"
"The app has a very user-friendly interface. It enables us to achieve optimum efficiency in the handling of the votes and full transparency in how the parlimentarians vote"
Choose from a basic or pro package to suit your individual needs. Need more? 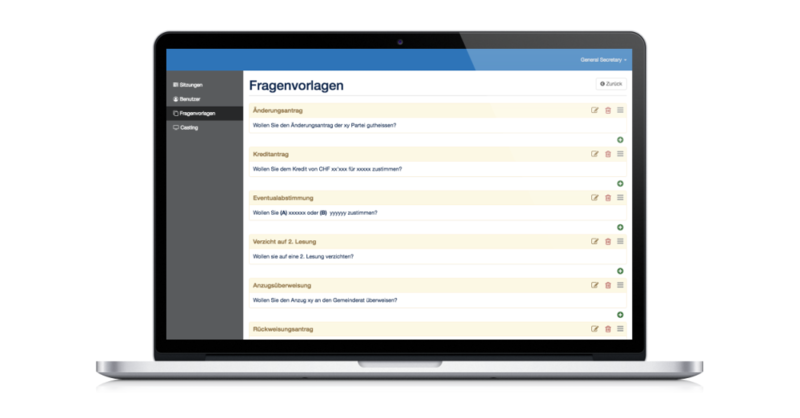 omnivote lays the foundation for the digitalization process and can be customized with add-ons that tackle your unique challenges.